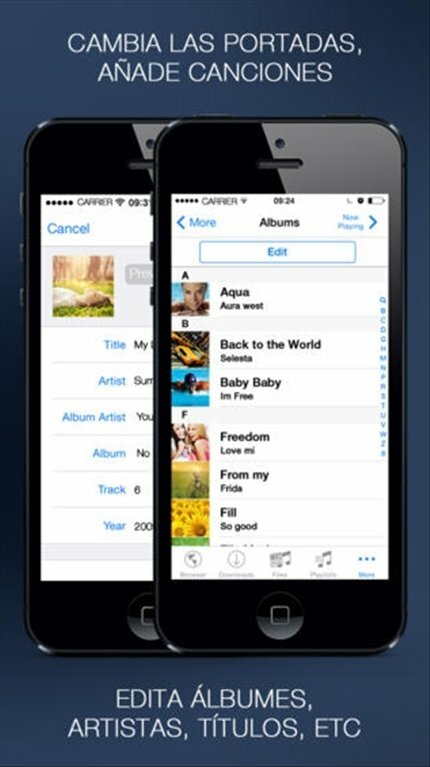 Free Music Download is an application with which you can download songs to your iPhone legally and totally free of charge. 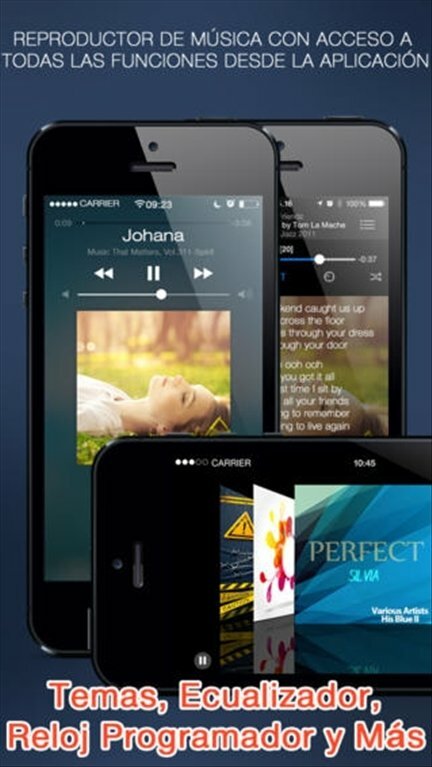 Free music for your iPhone. Complete browsing function with support from several tabs. 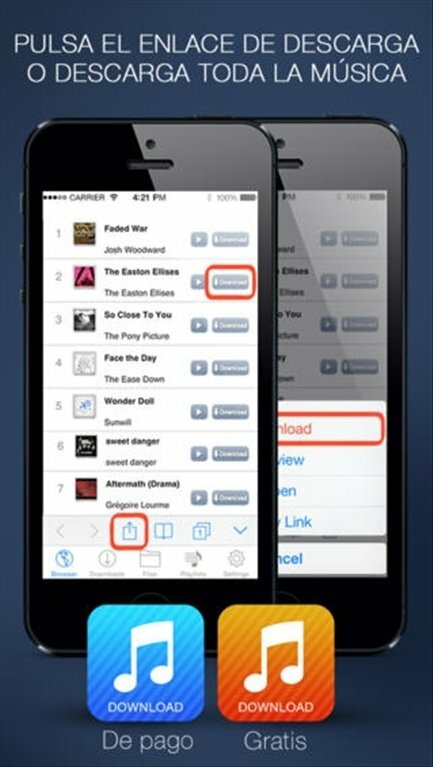 Includes a download manager which allows you to check the status of downloads, as well as to stop, pause and restart downloads. File manager to keep the downloaded files organized, extract from ZIP or RAR files and create backups in Dropbox. Customization of the interface by means of skins. 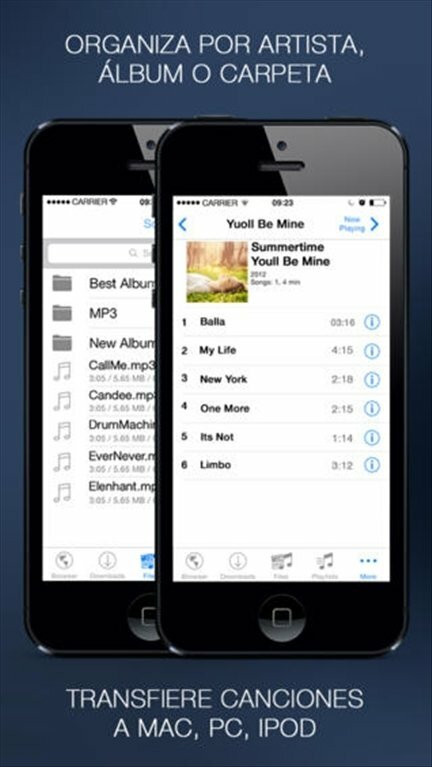 Try Free Music Download and discover how to download music on your iPhone and keep it organized. 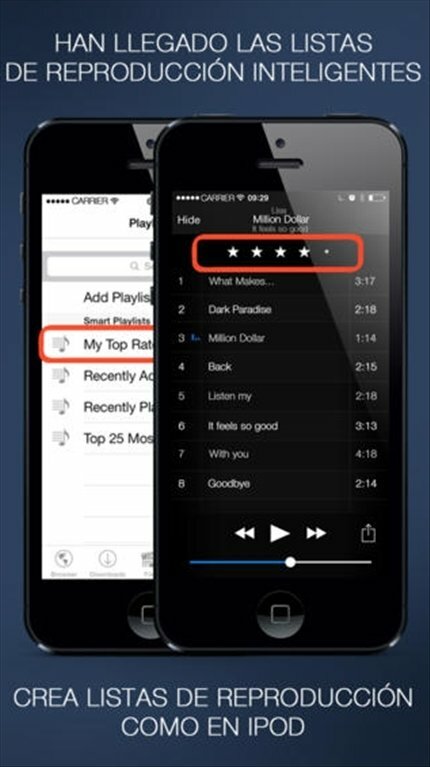 This trial version only lets you download a maximum of 15 songs.